Born in Aptos, California, Mary Ann McSweeney started playing piano at the age of 5, and began to study violin at age 8. 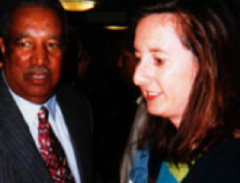 In high school, she fell in love with the acoustic bass while watching Ray Brown perform at the Concord Jazz Festival. 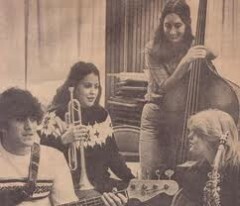 At age 16, she was chosen to play at the Monterey Jazz Festival with the All-Star band fronted by Thad Jones and Mel Lewis. McSweeney has played with jazz legends Dizzy Gillespie, Joanne Brackeen, Lee Konitz, Gil Goldstein, and Bucky Pizzarelli. She has also played for renowned conductors, Leonard Bernstein, Lalo Schifrin, and John Williams. McSweeney has performed with Renee Rosnes, Vic Juris, Ken Peplowski, Dennis Mackrel, Lewis Nash, and Larry Goldings. Big Band performances include Maiden Voyage and Diva, and she has performed with her own quintet at the Seixal Jazz Festival in Portugal, and with the Mary Lou Williams Jazz Festival at the Kennedy Center. She has arranged for and recorded with Warner Brothers artist, Lea Delaria. Recent engagements include the Berkshire Jazz Festival, backing up Veronica Swift, and traveling to the Roswell Jazz Festival in New Mexico to perform with Ken Peplowski, Randy Sandke, Holly Hoffman, Chuck Redd and Mike Wofford. McSweeney has toured Europe, and has performed with David Krakauer’s Klezmer Madness and five-time Tony award winning vocalist Audra McDonald. Her orchestrations can be heard on Chita Rivera’s CD entitled “Now I Swing” and her version of “Avenue Q Swings” is available on iTunes. McSweeney performed at the Monterey Jazz Festival with Claire Daly and the Baritone Monk Band, which was rated in the top ten on jazz radio in the USA. 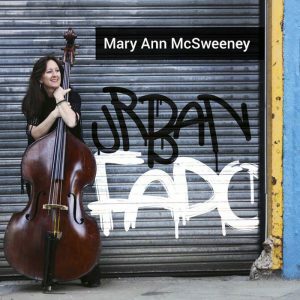 Along with being a full-time professional bassist in New York City, McSweeney was on the faculty for the Middle School Jazz Academy at Lincoln Center for 12 years. She performed at the White House with the Eli Yamin Quintet and the Kennedy Center Gala with the Clayton/Hamilton Orchestra. She was musical director/arranger for three shows at NYC’s Birdland featuring Jane Monheit, in a program that included selections from Irving Berlin and the Cole Porter musical, “Anything Goes.” McSweeney has played more than 45 Broadway shows, including Tony award-winning “A Gentleman’s Guide to Love and Murder.” In 2017 she performed in Greece and Berlin with her Urban Fado Project. Her original music can be heard on the documentary “From Allegiance to Broadway,” currently playing in theaters around the country. She recently was seen at the Public Theater playing the onstage bass player for the “Girl From the North Country” that opened to rave reviews. In 2019 She performed the music of Charles Mingus, arranging and orchestrating for the new ensemble sponsored by the Bronx Arts Ensemble.